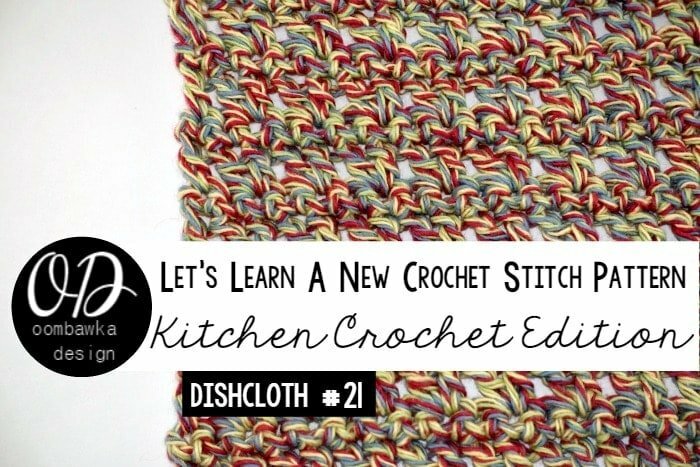 Today I am going to show you another variation on the v stitch. 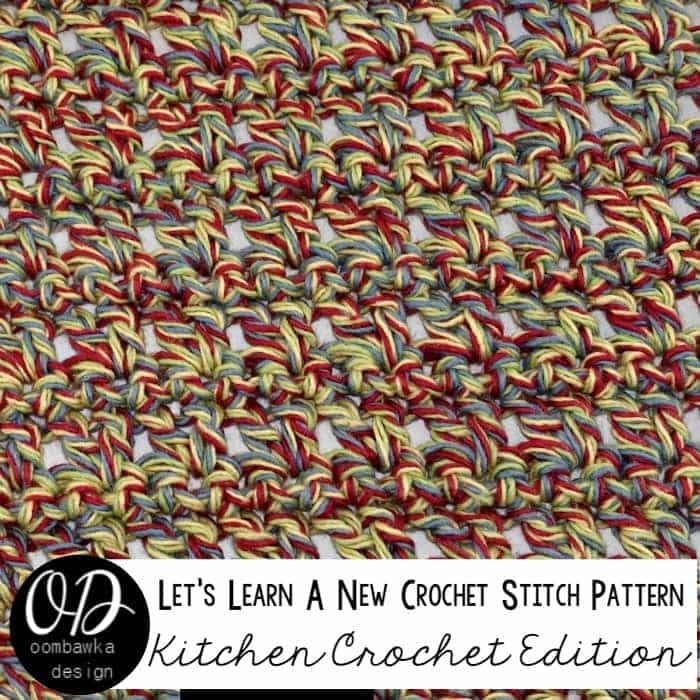 This v-stitch alternates with a row of single crochet. 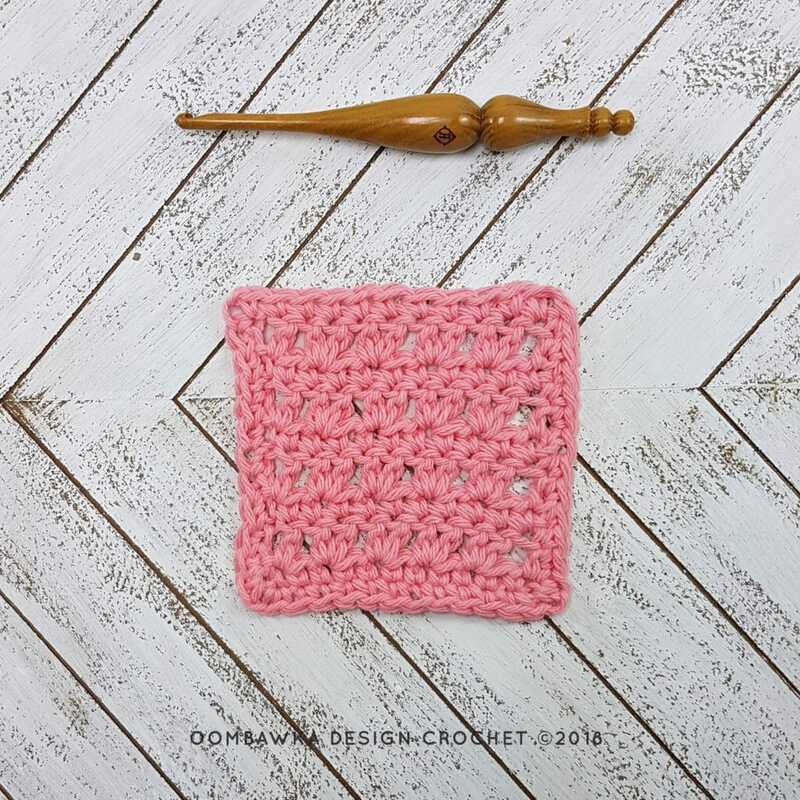 This is a great beginner crochet project to try and I have included a photo tutorial to help you learn how to make the stitch and create a dishcloth or afghan square. The stitch multiple is also provided to allow you to create a project to any size you wish. An optional size square (4 inches) and edging have been added to the end of the post. If you would like to see how to do an invisible join when you finish off your project, please review the invisible join tutorial. It is very easy to do and makes your project have a professional finished edge. Hook 5.5 mm (I) and a 5 mm (H) Orange Osage Hook was used for the 4 inch by 4 inch square. This square requires blocking to be ‘square’; it resembles a rhombus shape without blocking. Optional Edging added to the end of the post. Rep R2 and R3, 6 more times. Proceed to Optional Edging at the end of the post OR finish off with an invisible join and weave in your ends after R15. Rep R2 and R3, 9 more times. Proceed to Optional Edging at the end of the post OR finish off with an invisible join and weave in your ends after 21 rows. Rep R2 and R3 13 more times. Proceed to Optional Edging at the end of the post OR finish off with an invisible join and weave in your ends after 29 rows. R8: Rep R2. Proceed to Optional Edging at the end of the post OR finish off with an invisible join and weave in your ends after 29 rows.